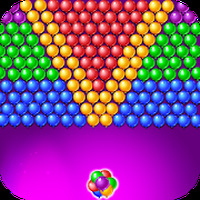 "Combines hundreds of games in a single app"
101-in-1 Games combines, in a single app, hundreds of games for all tastes: puzzle games, skill and dexterity, sports, arcade games, sudoku, purpose, and many more. 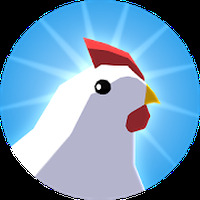 This app provides a number of starting points for you to play one of the 100 games included in this app. As you gather points, you can unlock other games. If you run out of points, you must buy more to continue the game. 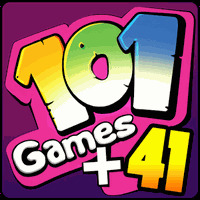 101-in-1 Games combines together different types of games with different difficulty levels. Since the variety of games is immense, you'll be able to go through different experiences, both in games with excellent graphics, as in amateur games with graphics of very poor quality. Each of the over 100 games has different controls, but in general they make use of multi-touch device. Unfortunately the vast majority of games don't offer instructions or tutorials, so you must find out the way to play. It is especially appreciated by children and youth. Installation requirements: A minimum of 35M of free memory space and Android 2.3.3 or higher. Rating: The TOP 5 Most popular games in Quiz Games category. You are guaranteed hours of entertainment. The games offer several difficulty levels. It has a great diversity: educational, arcade, and logic games, among others. It combines hundreds of games in one app. It is classified as a virus by some security apps. It has no instructions or tutorials. Do you like 101-in-1 Games?